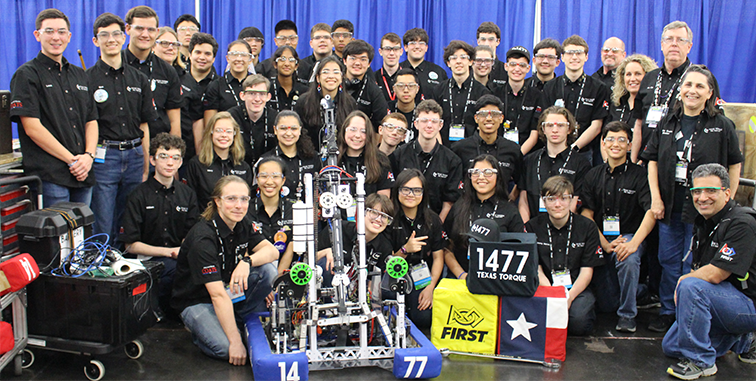 After an incredible season, filled with many highs and lows in competition, Texas Torque has returned from the FRC World Championships in St. Louis with not one, but two unbelievable victories, winning both the Galileo Division and the famed Einstein Field. Following two intense days of qualification rounds, Texas Torque was chosen by FRC 1241, Theory6, who proceeded to choose FRC 610, the Coyotes, to complete the fifth seeded alliance. The competition in eliminations was intense; both the quarterfinal and semifinal rounds went on to three matches. 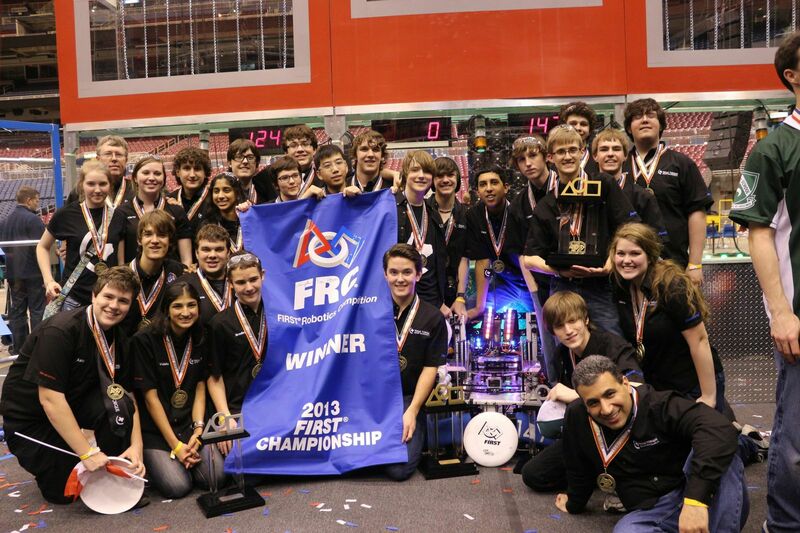 However, our alliance pulled through past all challenges and unbelievable obstacles. Similar odds were faced in the final rounds on Einstein Field, and yet, with the combined efforts of the three robots, our alliance went on to win the championship. 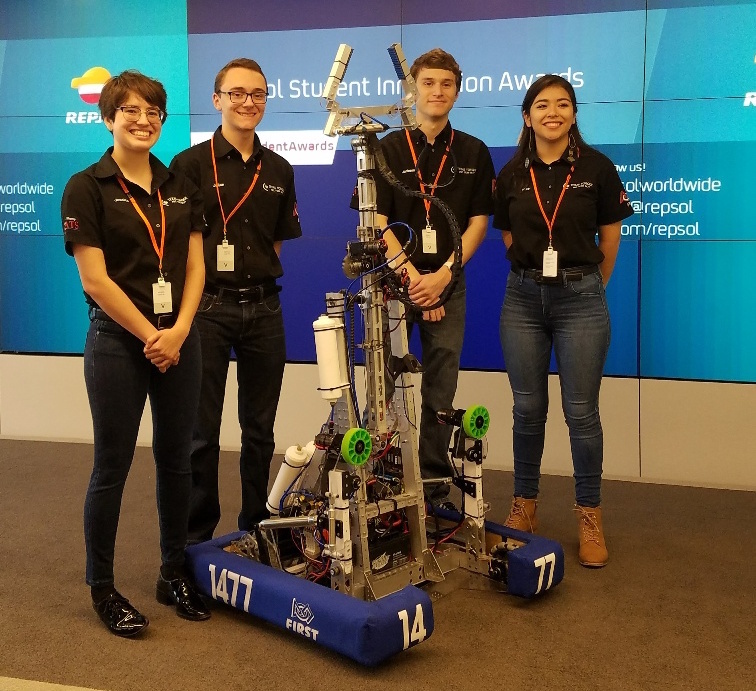 This amazing achievement is certainly one that could not have been accomplished alone, and Texas Torque would like to to graciously thank FRC Teams 1241 and 610 for their incredible efforts as alliance partners. We are extremely excited to hold the position as World Champions, especially as Texas Torque is now the second team from Texas to win Einstein Field, the only team from the United States to win the Championship this year, and the youngest team ever to win the Championship.